John Mullen practices in the areas of labor and employment law and in securities litigation and arbitration. He advises and represents employers throughout Florida in the defense of age, race, gender, sexual harassment, disability, and FMLA discrimination and retaliation claims in both federal and state court trial practice and in arbitration and administrative proceedings. He also advises clients on a full range of employment-based immigration matters and assists clients in obtaining visas for technical and professional employees and in navigating the requirements of U.S. immigration law. He regularly drafts and negotiates employment contracts and litigates non-compete agreements and trade secret claims. 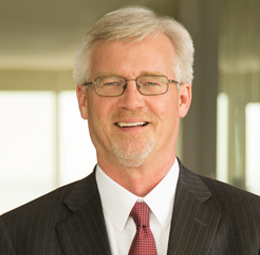 John also represents clients in defending securities and consumer class actions, directors’ and officers’ liability disputes and shareholder derivative actions, and other complex commercial matters in federal and state court. He represents securities firms and individuals in securities arbitration proceedings before self-regulatory organizations such as the Financial Industry Regulatory Authority (FINRA). He currently serves as the chair of the Ethics Committee for the firm.